It's no secret that medications are expensive, and the costs are seemingly always on the rise. Fortunately, those who depend on prescription drugs have a couple of options that may make filling their prescriptions a lot easier on their wallets. 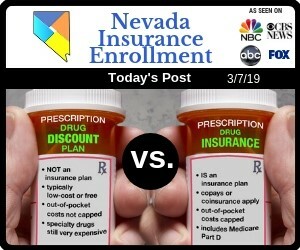 Your Nevada Insurance Enrollment health insurance agent can help you determine the prescription drug insurance plan that will save you the most money on your prescriptions. There are two types of stand-alone drug plans, including prescription drug insurance and prescription drug discount plans. While each of these plans can help you save a lot of money, the way they work is quite different. Prescription drug insurance may be integrated into your health insurance plan or it may be administered separately. Prescription drug insurance is similar to health insurance in that there is a monthly premium that is paid by you or your employer. When you fill a prescription, you pay a flat-rate copay or portion of the cost of the drug, depending on your plan, and the insurance company is billed for the rest. When helping you select the right prescription drug insurance plan, your Nevada Insurance Enrollment health insurance agent may ask you what medications you're currently prescribed. Different insurers have different drug formularies, or lists of preferred drugs. These preferred drugs may be both brand name and generic drugs, and they are chosen for their cost, effectiveness and safety. Non-formulary drugs are still covered by the insurer, but the member will likely pay a greater portion of the cost. 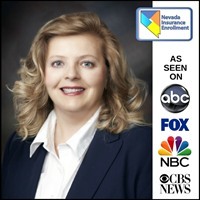 By verifying that the medications that you're currently taking are on an insurer's formulary, your Nevada Insurance Enrollment health insurance agent can ensure that you receive your medication for the best price. While prescription drug insurance plans are provided by, you guessed it, insurance companies, prescription drug discount plans are often provided by drug stores, drug manufacturers and membership organizations. Some discount plans are available for a monthly or annual fee, while others are free. The way they work is similar to a coupon. When you fill a prescription, you provide the pharmacy with your card, and you'll receive a certain percentage off the cost of the prescription. This discount may vary from one drug to another, and different discounts may be applied to generic drugs and name brand drugs. It's important to note that prescription drug discount plans are not insurance plans. While the discounts they provide may be sufficient for some people, other people may end up paying significantly more money in the long run by choosing a discount plan instead of insurance coverage. Medications can be costly, but fortunately, there are ways to bring down the cost and get the medication you need without breaking the bank. Talk to your Nevada Insurance Enrollment health insurance agent about your needs and budget to get advice and guidance that you can trust.